Home / Blog / Maltese O-level at your fingertips! After the success of Qawsallinu, Maltese language teacher Charles Daniel Saliba has launched Suċċessinu 1. This book builds on its predecessor’s foundation by preparing students for the first paper of the SEC (O-level) exam. Information is presented in a clear, logical and concise way. It includes: a detailed explanation of the examination paper; a time-management plan for sitting the exam; advice on writing and examples of essays, letters (formal, informal, and to a newspaper), emails and reports; guidance on the SEC oral exam with notes on the Maltese linguistic culture and other current themes; five model papers of the oral exam and five of Paper 1 of the written exam. All the answers are given in a separate section, making the book ideal for self-learning. Suċċessinu 1 conforms to the latest developments in Maltese orthography and is intended for those sitting the 2014 SEC examination. Three model papers of the written exam. All the answers are given in a separate section, making the book ideal for self-learning. 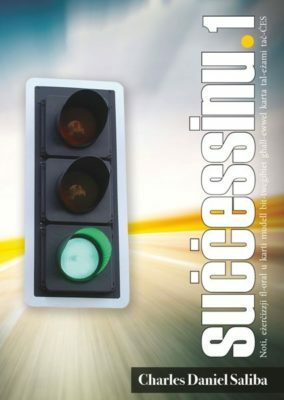 Suċċessinu 2 complements Suċċessinu 1, a book that prepares students for Paper 1. Together, the two books are perfect for anyone who has to teach, learn or administer the new O-level syllabus and get ready for the 2014 exam. Both books are available in bookshops now.